This is a recipe for food. 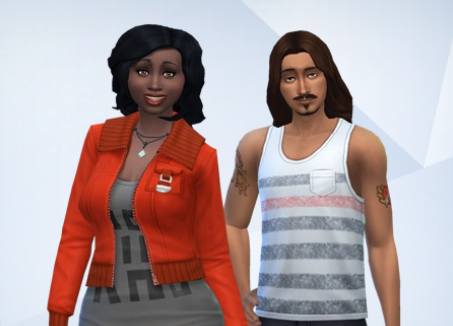 Not sims, but food. YUM YUM EAT IT UP! 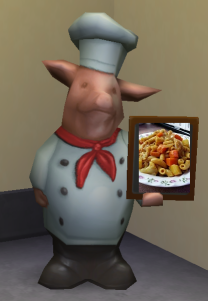 Hello everyone and welcome to Chef Ninjapig’s restaurant! Today’s lunch special is Japanese Curry Macaroni with Cheese. Serves 2. 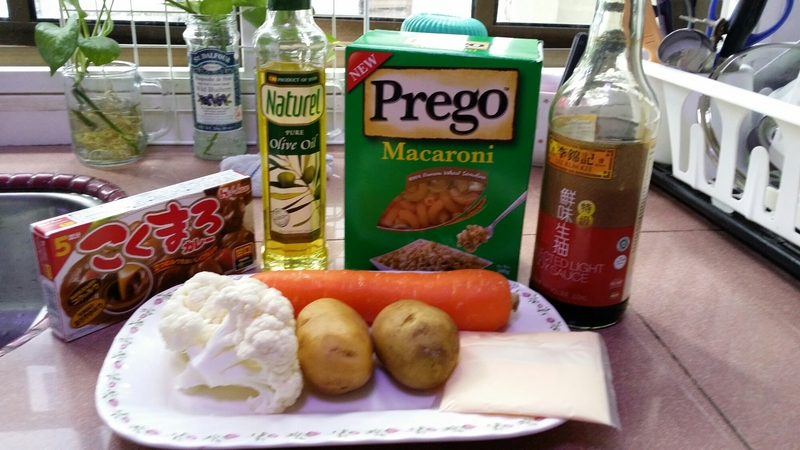 Essential ingredients: Japanese curry blocks/sachet, macaroni, potatoes, carrot, cauliflower, cheese of your choice, and salt (not pictured). Optional: Olive oil (to fry any meat and seafood you want to add), soy sauce, and cornflour (not pictured). Step 1: Prepare your veggies. 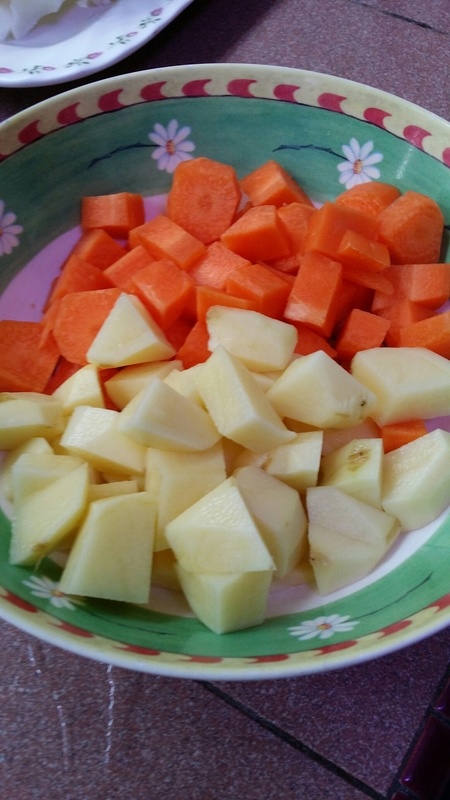 With her excellent knife skills, Ninjapig chops her carrots and potatoes into cubes. You can add meat or seafood if you wish. Make sure you cook it off well! Step 2: Boil the carrots and potatoes until soft. Takes approximately 10-15 minutes. 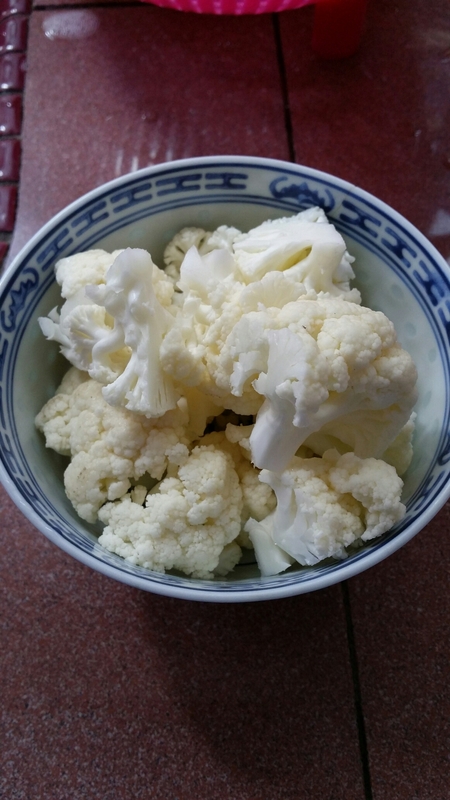 Add your cauliflower to boil when your carrots and potatoes are almost done! Chef Ninjapig likes to put them in when the other veggies are just only soft enough to bite into.